Mailster has been tested throughly and follows the WordPress Coding Standards. This means it should work with every plugin or theme which also follows those standards. If you experience any issue it’s often caused by a third party plugin or your current theme. To make sure it’s not a bug in Mailster please try to replicate the issue on our demo first. If you cannot repeat it there it’s most likely a problem on your site only. Here’s a quick video to help troubleshooting this kind of problem. 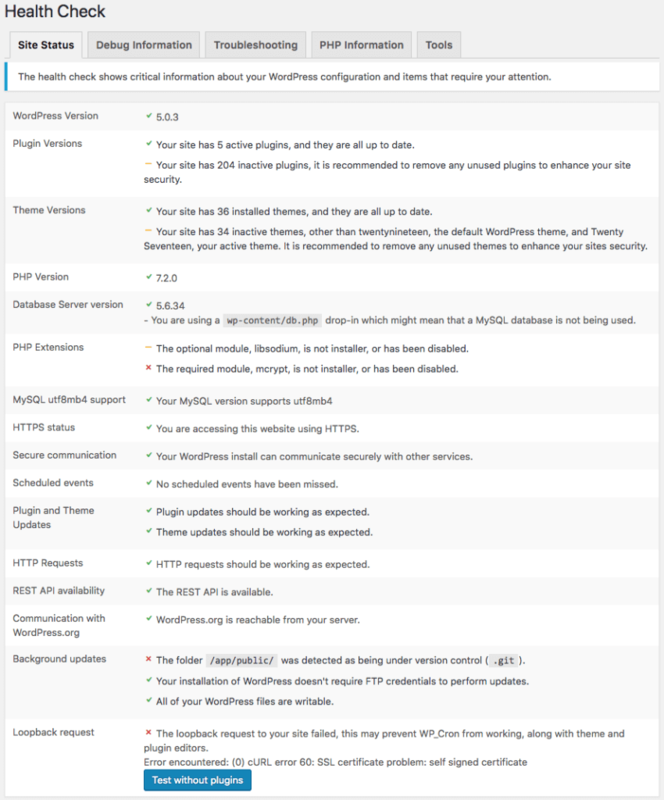 Another option is to use the official Health Check & Troubleshooting plugin from the WordPress repo. Please follow the official guide.